Fritzi’s in the house! But ¿dónde está Fritzi? 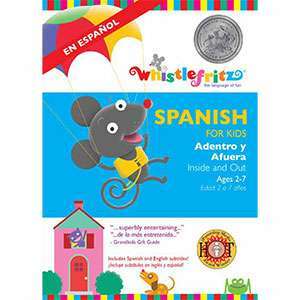 Finding the mischievous mouse Fritzi is just part of the fun in this lively language learning program. 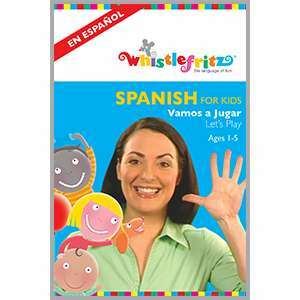 This award-winning Spanish immersion video welcomes you to Fritzi’s house, where up or down, inside or out, there is lots to learn and plenty to do. 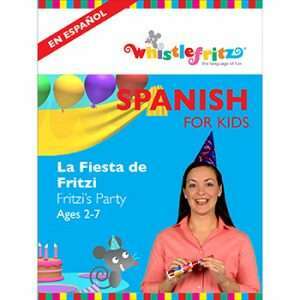 Explore every area of Fritzi’s house, from el dormitorio (the bedroom) and el baño (the bathroom) to la sala (the living room) and la cocina (the kitchen). An engaging interactive format encourages viewers to learn and retain basic greetings and positional words as well as words for food, daily activities, numbers, and more. But that’s not all! ¡Vamos a cantar y bailar! (Let’s sing and dance!) This video will have children on their feet dancing along to upbeat rhythms. ADENTRO Y AFUERA is an engaging blend of colorful backgrounds, charming animation and live-action that kids will want to revisit again and again. 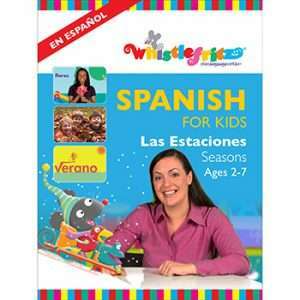 This video includes an easy-to-use translation guide for parents and teachers, who are first time learners of Spanish. 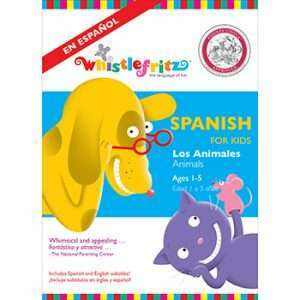 Designed for children ages 2-7, ADENTRO Y AFUERA is fun for all ages! Winner of a 2009 Parents' Choice Foundation SILVER Award; winner of Learning® Magazine's 2010 Teachers' ChoiceSMAward for the Family; winner of a Dove Foundation Family-Approved Seal; winner of a 2009 iParenting Media Award; winner of a Dr. Toy Best Play and Learn Vacation Program Award; winner of The National Parenting Center's 2009 Seal of Approval; endorsed by KIDS FIRST! 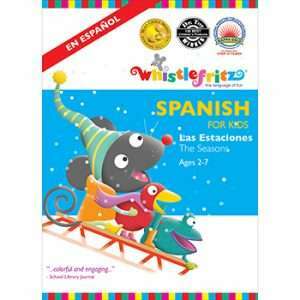 ; winner of a Grandkids Gift Guide Super Product Award. 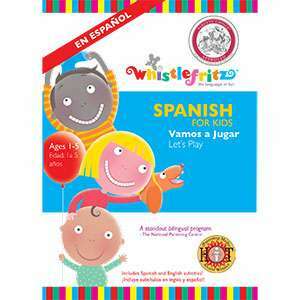 "… a great Spanish immersion program for individual families, but it's also perfect for preschools, schools, and other child care programs." Edna Wallace, Pages, Inc.